Police in Medford Township, New Jersey have arrested a 24-year-old in connection with the attempted armed burglary of the home of professional poker player Darren Elias. 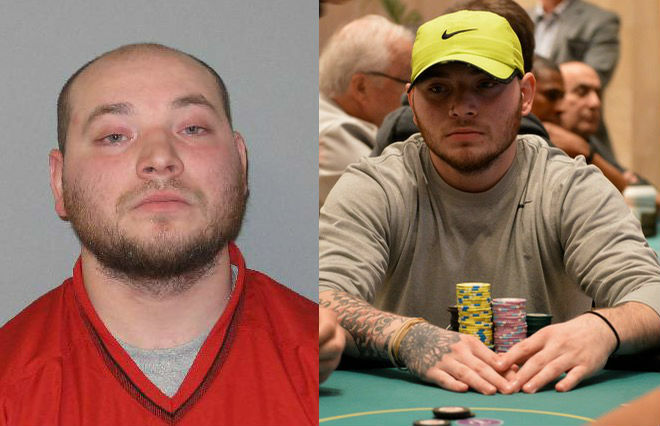 Shannon Soroka, a part-time poker player, was arrested Friday, one day after he burst into Elias’ home armed with a handgun. Elias and his wife were out at the time and Soroka allegedly demanded the 19-year-old babysitter that was home show Soroka where Elias kept his cash. During the robbery, Soroka allegedly held a gun to the woman’s back. Elias and his wife were not home at the time. The babysitter was watching the couple’s two-year-old daughter when Soroka forced his way into the home and eventually locked the babysitter in an upstairs bathroom before fleeing. Elias recently returned from Las Vegas where he finished third in the World Poker Tour LA Poker Classic. Soroka, who has 23 cashes on his HendonMob profile for $37,745 in earnings, has been charged with robbery, aggravated assault, unlawful possession of a weapon, mischief and making terroristic threats. Neither the babysitter or the child were injured during the robbery.